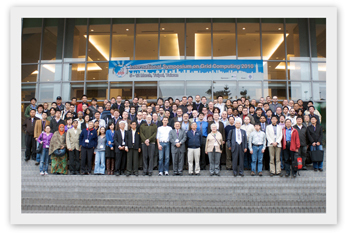 Thank you again for your outstanding contribution for ISGC 2010. You made all the event delegates a very valuable and unforgettable experience. As announced during the closing plenary by ISGC PC Chair, Dr. Bob Jones, we would like to remind you again to submit your full paper for the proceedings of ISGC 2010. Maximum submission up to 12 pages. Submission will be reviewed by Programme Committee and Session Chairs who reserve the rights to approve the publication of the paper, as well as to require authors for further modification needed. We sincerely thank you again for your participation to the event, please feel free to contact us if have further questions or concerns.